It’s the second installment of Future Stars this week, and another Belgian, this time it’s Lotto-Soudal’s neo-pro Tiesj Benoot. The 21 year-old has put in a series of impressive performances already this spring, and starts the Ronde van Vlaanderen for the first time this Sunday. Benoot has been on Lotto-sponsored teams for the majority of his career, with Immo Dejaegher-Lotto his junior team. He was a consistent performer at that level – 2010 saw him regularly take top ten places around Belgium at races in Lierde, Ichtegem, Steenhuize and at Kattekoers. 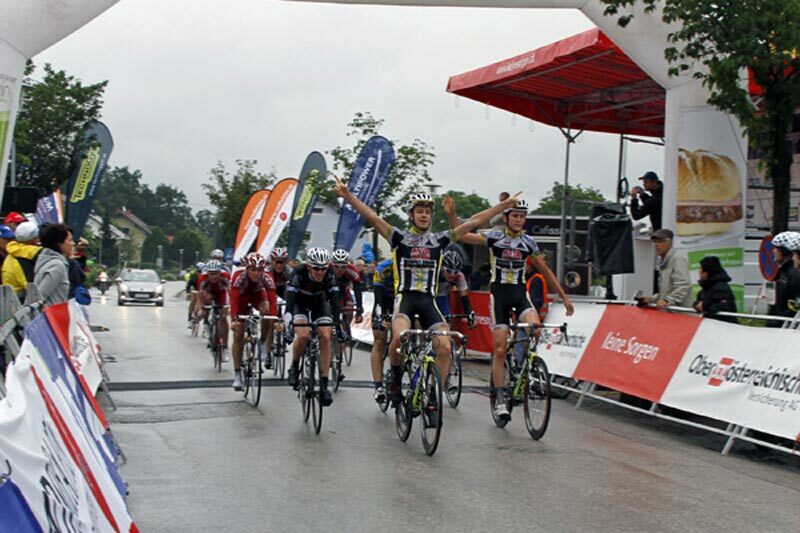 At the Danish stage race the Tour de Himmelfart he fought for the podium almost every day, finishing up 7th overall. 2011 saw him compete in more international competitions, racing in France and Switzerland and scoring numerous top ten placings. 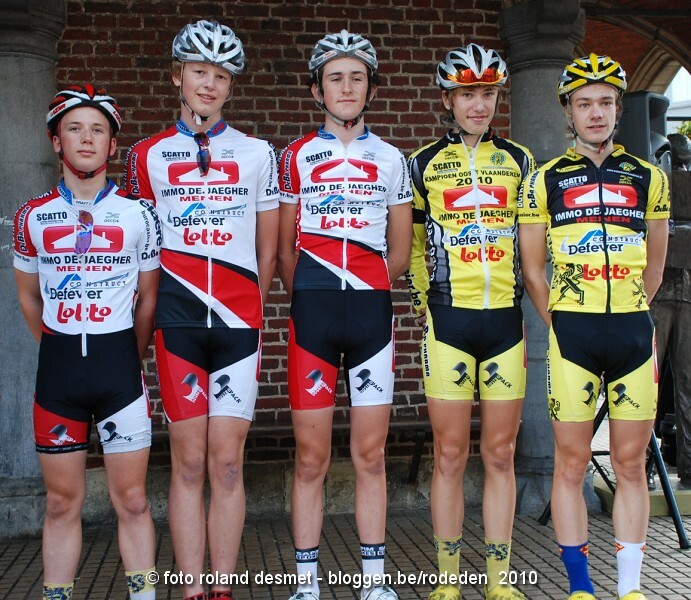 A second place in the Oost Vlaanderen provincial TT championship was a highlight. The next season saw him move to the Avia-Fuji team. 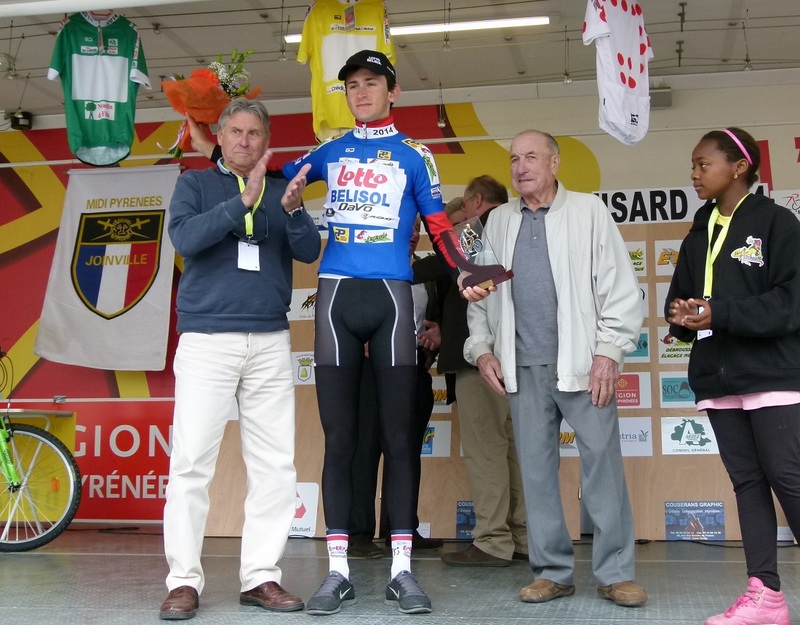 He had a good start to 2012, finishing 12th in the Kuurne-Brussel-Kuurne juniors, but April’s Le Trophée Centre Morbihan saw him in the top six every day and third overall at the end of the stage race. More solid racing at the Czech race Course de la Paix and the GP Général Patton in Luxembourg followed before he went to the Oberösterreich-Rundfahrt in July. There, after finishing second in a team 1-2 on the first day, he beat Matiej Mohoric to the win on a tough mountainous stage. He eventually took second overall behind the Slovene. More consistent results followed, including third at the Junior Belgian TT Championships and a stage win at Keizer des Juniores. These strong season-wide performances saw Tiesj selected to the national squad for the Worlds in Valkenburg. On a tough course, he ended up in a creditable 12th place as Mohoric won and teammate Kevin Deltombe took 6th. 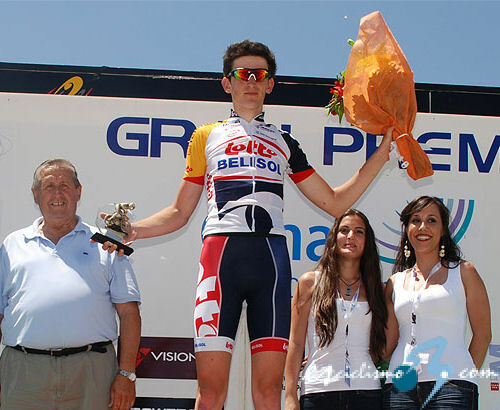 Benoot was brought into the Lotto-Belisol setup in 2013, joining their U23 team at the age of 18. He made an immediate impact with a great performance at the Circuit des Ardennes. It’s a 2.2 ranked race, with development teams race against senior Continental teams. The youngest rider on the team, he was the top performer, finishing in the top five on every day of the hilly four-stage race. He ended up finishing 4th overall and taking the youth and points classifications as he mixed it up with pros Riccardo Zoidl, Markus Eibegger and Andre Steensen. An 8th place finish at the U23 Liège-Bastogne-Liège and a stage win at the Vuelta a Madrid U23 followed, before he took overall victory at the Tour de Moselle in September. Current Etixx-QuickStep rider Julian Alaphilippe was the man he beat into second place, while two teammates filled out the rest of the top four. Tiesj rounded out the year with a 12th place in Paris-Tours espoirs. Consistency was once again the name of the game in 2014, his last season at U23 level. 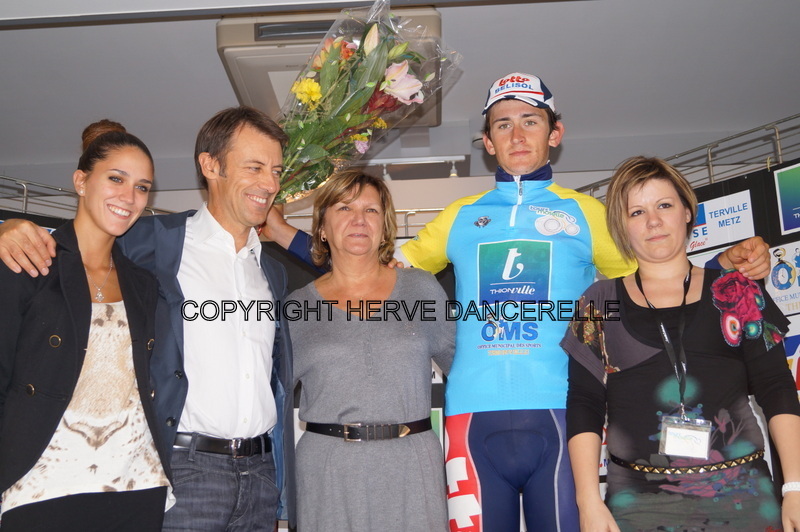 Benoot started off with the points jersey and second overall at Le Triptyque des Monts et Châteaux, with a great third place in the sprint at the Ronde van Vlaanderen beloften coming a week later. Later in April came a 5th place at U23 Liège-Bastogne-Liège – chain trouble prevented him from finishing higher up. The important stage race of the Ronde de l’Isard came in May. Set in the Pyrenees, the four day race included summit finishes at the ski station of Goulier-Neige and Bagnères-de-Luchon. The final day’s racing went over the Col de Port, Col d’Agnes and the Col de la Cort. Supporting team leader Louis Vervaeke, the big heroics of the race came on the road to Bagnères-de-Luchon as Benoot took to the front in the final kilometres of the stage, driving onwards with Vervaeke and dropping race leader Alexander Foliforov by over five minutes as every group in the race fell apart under the pressure. Vervaeke went on to win the race, despite Foliforov’s desperate long-range attack. 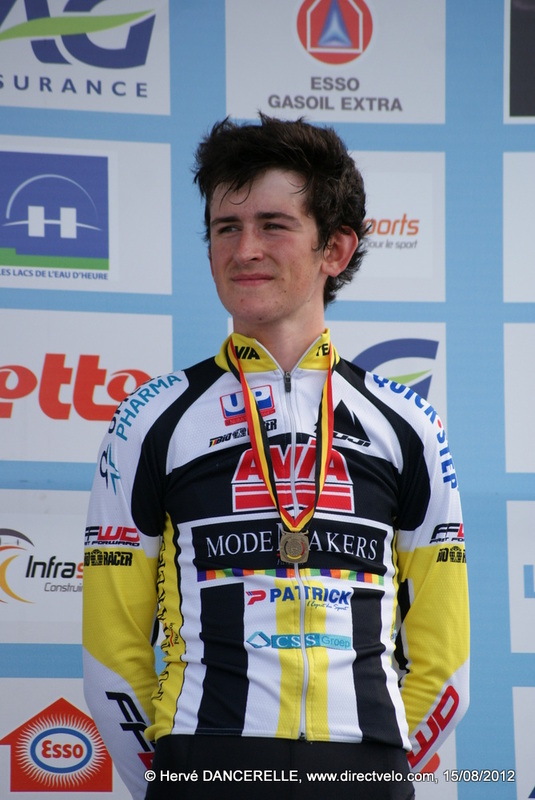 Meanwhile Tiesj finished 4th overall and took the youth classification too – a great performance all round. Other highlights of the summer included 15th at the Teunissen-dominated Paris-Roubaix espoirs, 5th at Flèche Ardennaise, and 6th at the U23 European Championships in Switzerland. August saw Benoot join the pro Lotto-Belisol team for a spell as a stagiaire, with impressive results such as third place on a tough stage at Post Danmark Rundt and 4th at the hilly GP Stad Zottegem. After dropping out of the Tour de l’Avenir due to illness, his 4th place at the U23 Worlds in Ponferrada was a late season highlight. As Sven Erik Bystrøm soloed to the win, Caleb Ewan and Kristoffer Skjerping just edged the Belgian out of the medals. Among his last acts before turning professional were an 8th-placed finish at Memorial Franck Vandenbroucke and helping Jens Debusschere to third at Paris-Tours as he finished 16th himself. This spring, his first few months as a professional, have seen the man from Gent burst onto the scene. Finshing in 8th place at the second stage of January’s Challenge Mallorca was an early season highlight, but the cobbled races of March are where he’s really moved into the limelight. At the tough Omloop Het Nieuwsblad, his first northern classic as a pro, he was in the front group until the final climbs and finished among the peloton in a creditable 36th place. 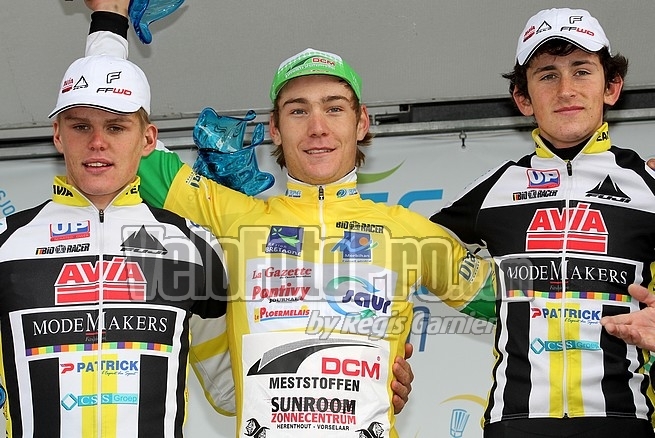 A few days later he was in the lead group at Le Samyn. A toughened-up course saw the addition of more cobbles in the finishing circuit saw Etixx-QuickStep with four riders in the eight-man lead group heading into the final kilometres. The powerhouse Belgian squad duly led-out for Gianni Meersman but Benoot helped teammate Kris Boeckmans secure victory, going on to finish 4th himself. Since then we’ve seen him sprint to third in the Handzame Classic and finish 6th in the horrific conditions at the Ronde van Zeeland. Last week at Dwars door Vlaanderen he put in a huge amount of work for team leader Jens Debusschere. The chasers didn’t catch the Topsport-led lead group but Benoot won the sprint for 6th, an impressive feat considering how much energy he had expended after leading the charge for almost 40km. He was active again at E3 Harelbeke, attacking midway through the race as the peloton split up and later leading the chase effort up Tiegemberg – bringing down the gap where three BMC riders had failed. He ended up 18th at the finish, and has since been resting ahead of his first participation at the Ronde van Vlaanderen on Sunday. While he’s had a great start to his pro career, everyone has to remember that Tiesj is still only 21 years-old. With added hills and kilometres, De Ronde will be a totally different animal to the races he has competed in thus far. He’ll be working for Jens Debusschere and Jurgen Roelandts, but it looks like he will be a leader one day. Benoot balances his racing with studying economics at Gent University. He looks to have a bright future in racing though, describing himself as an all-rounder with similar qualities to Greg Van Avermaet (albeit on a lower level). Going by what we’ve seen so far it doesn’t look like it will take him too long to reach that level. You can follow Tiesj on Twitter or Strava and keep up with his results at ProCyclingStats.